As you travel from region to region and country to country, it is important to keep an eye out for rogue animals hitching a ride on the hull, in cupboards or within food items. Over the centuries, Fiji has fallen foul to many an introduced outbreak. From Cholera, to warfare and more subtle threats which take time to reveal themselves. While we appreciate you may be keen to get ashore and start exploring, it is imperative that you wait onboard for Biosecurity officers to board and inspect your vessel for such unwelcome hitchhikers. 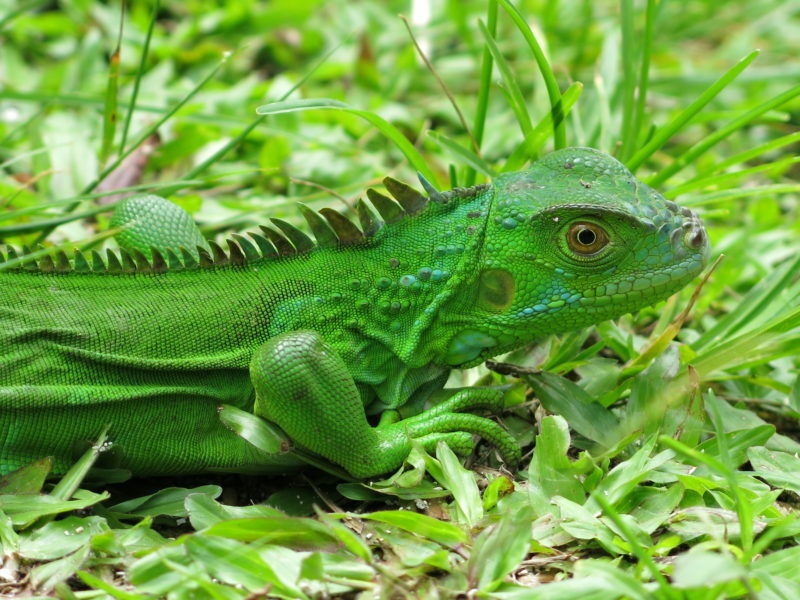 The Biosecurity Authority of Fiji (BAF) wishes to inform travelers that there exists an invasive species to Fiji on the islands of Qamea, Matangi and Taveuni called the American Iguana (Iguana iguana). The American Iguana is not native to Fiji and was illegally introduced in the year 2000 on the island of Qamea. Since then the American Iguana has spread to Matangi and Taveuni. BAF wishes to advise you that it is illegal to intentionally or unintentionally move any stage of the American Iguana from Qamea, Matangi and Taveuni to other parts of Fiji and vessel owners should take every precautionary measure to ensure the American Iguana’s do not hitch-hike on your vessels. 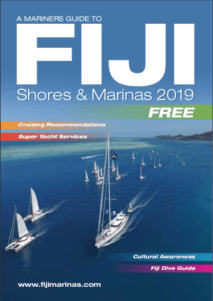 It is also advisable that vessel owners inspect their vessels thoroughly before departing these islands for other islands in Fiji to ensure you do not aid in the spread of this invasive species. There are heavy fines and penalties if anyone is found to in possession of any life stage of the American Iguana. BAF would like you to support the efforts of the Fijian Government to contain the American Iguana from spreading to other parts of Fiji by adhering to this message. Unlike the native Fiji iguanas, the adult American iguanas can grow almost two metres in length and weigh in at nine kilograms. They are green and may also appear bluish with black markings. Adult American iguanas have long dangerous spines along their backs and tails and long sharp claws, which they use to defend themselves. They also have long flaps of saggy skin hanging from their chin to the base of their necks, which is called a dewlap. On each sides of their cheeks they have a large scale underneath their tympanums (a slightly sunken leathery covering of their eardrums). This large scale is a key identification feature for the American iguanas. The native Fijian iguanas do not have this large scale or the large dewlap. 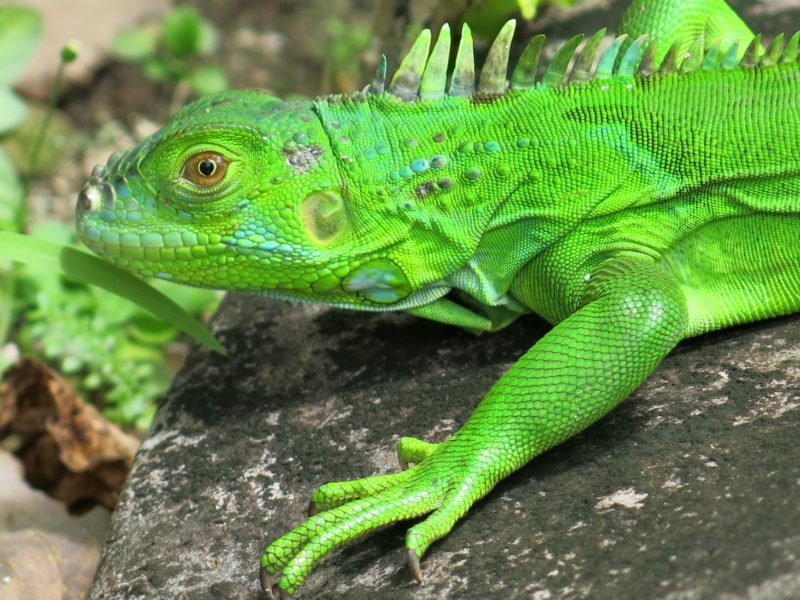 The large scale and dewlap are ways to differentiate between American and the Fiji iguanas. Bring in captured American iguanas to the nearest BAF office.